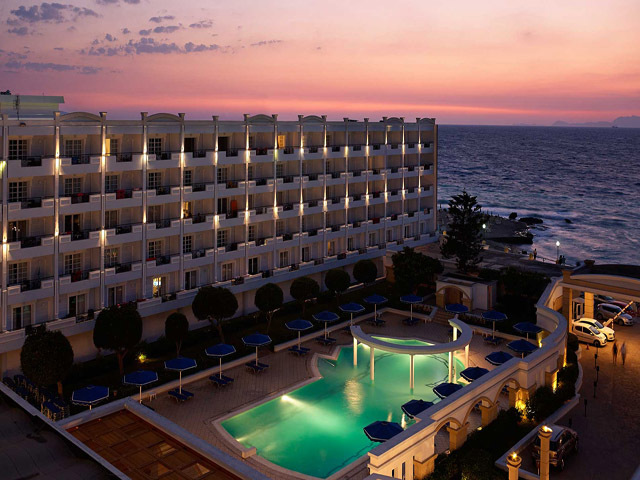 The Grand Hotel is Rhodes' first premier Five Star Luxury Hotel, located on the cosmopolitan Island of the sun, surrounded by the crystal waters of the Aegean Sea. 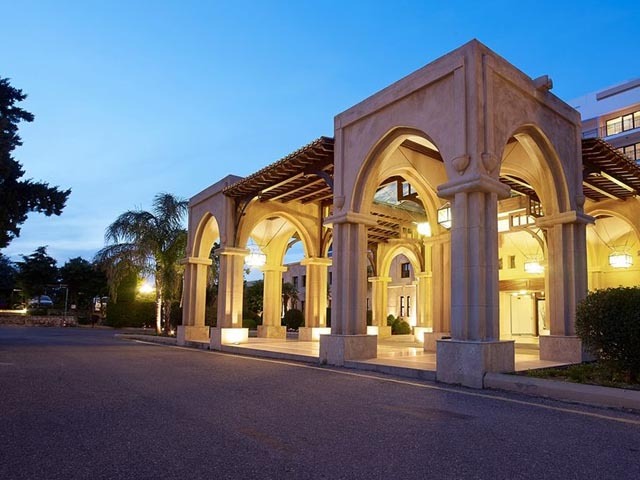 Centrally situated in the City of Rhodes, the fully renovated Hotel is just a few minutes away from its main historical and cultural attractions. 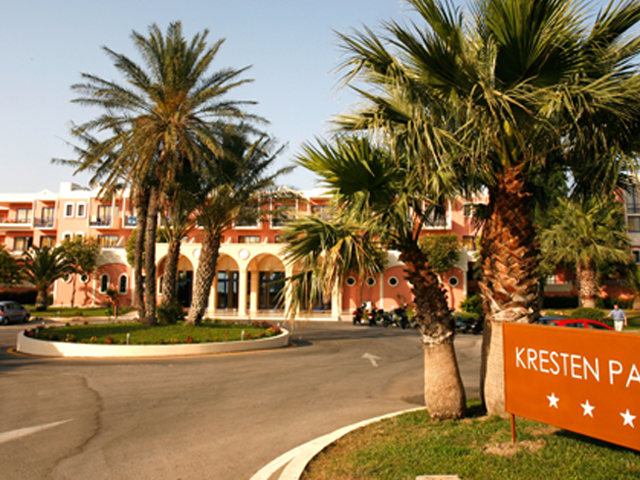 The Complex overlooks a sandy beach on the beautiful Aegean Sea. The distance from the Airport is 15 km. Over the years, the Grand Hotel has accommodated some of the great International personalities, such as Margaret Thatcher, Helmut Kohl, Gregory Peck, Constantine Karamanlis, Mikis Theodorakis, Anthony Quinn, the Queen of Holland and many others. The Hotel has also hosted a number of international events as well as the Conference of the EU leaders in 1988. Children services: baby sitting (on request, extra charge), cots, cribs, high chairs, etc. The hotel offers unrivalled services and facilities including several gastronomic options, a luxurious fitness centre with indoor pool, two outdoor pools, as well as a selection of sports activities and children facilities. Guests can choose between the 2 outdoor seawater swimming pools, one indoor fresh water pool and the beautiful pebble beach. Beach and pool towels are available against a deposit. Sunbeds & umbrellas at the pool are for free and with charge at the beach. Relax and soak up the sun while you watch the little ones splash around the children’s pool and make new friends at our playgrounds. Baby cots available on request and free of charge. Baby sitting services available on request, at an extra charge. For the more active, a selection of activities is available at the Grand Hotel. Whether your vacation dream is active or more relaxed, the Grand Hotel includes temptations for any interest! 1 tennis court with free equipment. Floodlight with charge. Tennis balls and racquets are available against a deposit.